Seemingly out of the odds, the Chinese Pangu team released a new jailbreak tool for iOS devices. The jailbreak tool is dedicated to work with iOS 9.0 to iOS 9.1. We all knew a new jailbreak is on the way and eventually, its available and running. Previously, we did hear that Pangu would skip the iOS 9.1 jailbreak, which did not turn out to be true. With that in mind, some iOS users updated their firmware to newer version. Henceforth, they may still be waiting for a compatible jailbreak tool to arrive. Another thing that we weren’t expecting has also been disclosed. The Pangu team is working on a jailbreak tool for the Apple TV 4, which will arrive next week. Having an iOS 9.1 jailbreak tool is wonderful news, but hearing about an Apple TV 4 jailbreak is something we’re really interested in. The Apple TV 4 has a completely redesigned firmware, that might open new dimensions for jailbreak tweak developers. A tweet on Pangu’s official Twitter account noted that the team is working on releasing an Apple TV 4 jailbreak for 9.0.x. Moreover, the team mentions that it will be released next week. Another thing that Pangu team mentioned is that the jailbreak will only have SSH access. This suggests that there would not be any GUI based features yet and it would not be user-friendly at all. Nonetheless, it’s still worthy to be glad about. This is because the road to jailbreak have been identified and by the passage of time, a complete jailbreak will be discovered for Apple TV 4. Since the third generation Apple TV was never jailbroken, there are a lot of expectations from users. Probably which have to be vented out through the Apple TV 4 jailbreak. By creating a jailbreak tool for the Apple TV 4, users would be able to enhance and modify functionality of their set-top box. However, jailbreaking any device has its own risks associated with it. If it is not done properly, you might end up bricking your device for good. Basically, you’re using a tool that has been developed by people outside of Apple. Moreover, the jailbreak tool is designed to exploit security flaws in the firmware. Nonetheless, if you think you have the right know-how regarding the subject, you’re on your own. Although, we would prefer if you jailbreak a device that is not your daily driver. This is it for now, folks. Have you jailbroken your iOS device running iOS 9.0 – 9.1? 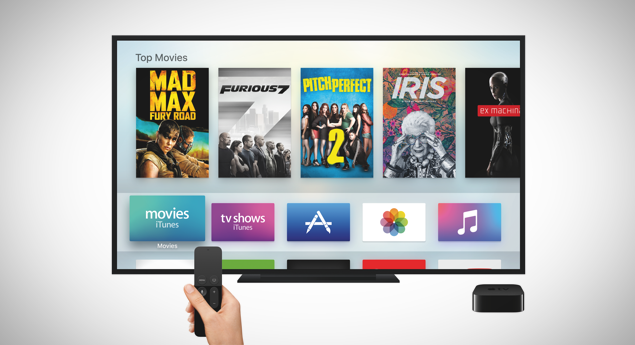 What are your thoughts on jailbreaking Apple TV 4? Share your views in the comments.